This shows Mike's property. 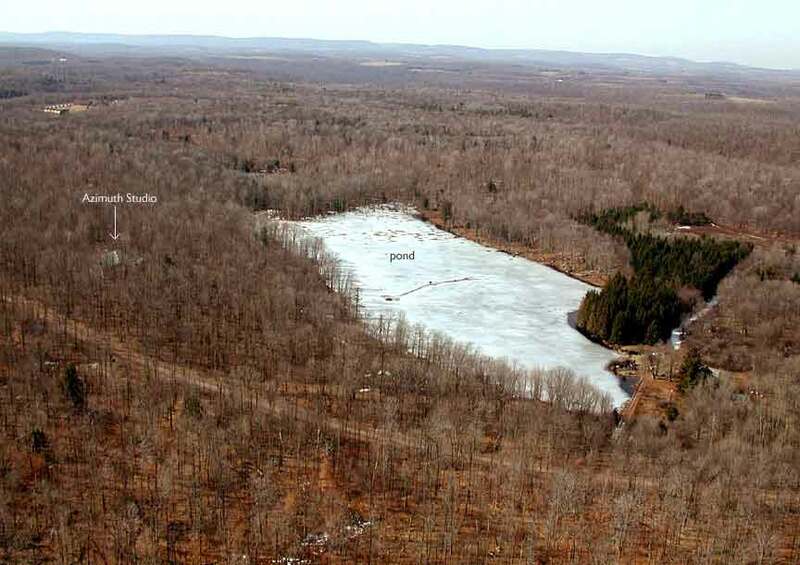 The picture, taken from an airplane by Mike himself, shows numerous acres of woodland and a beautiful little 10-arcre beaver pond. It's frozen over here, but is full of lily pads and croaking frogs in the summertime. Visitors always comment how peaceful and beaucolic the setting is.